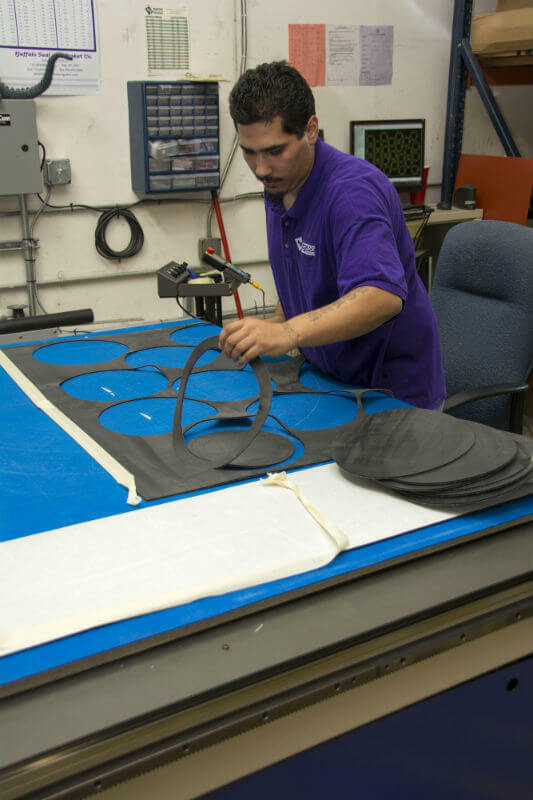 For over three decades, BG&P has long specialized in the custom fabrication of top quality Rubber Molded Parts, consistently meeting the specifications of customers. When you need a custom rubber molded part, look no further than the creations of our expert machinists. From print to production, Blaylock can produce your parts in as little as 4-6 weeks. No matter the specifications of your project, Blaylock has the rubber to meet them. Our inventory of elastomers is extensive and includes silicone, viton, neoprene, nitrile/buna, butyl, natural rubber, SBR and EPDM. Additionally, the engineers at Blaylock can create custom polymers to perform to your exact requirement, and for sanitary measures, we can mold rubber parts with FDA-approved material. The well-trained staff at Blaylock is always at hand to use our state of the art in-house equipment. From the print that you provide, we can create a prototype for your project, and then go immediately into production upon approval. And consistently, Blaylock has produced accurate rubber molded parts that have met customers' print specifications exactly. Quality and service are our top priorities. Blaylock takes pride in working closely with engineering, purchasing, planning, receiving, and delivering quality molded parts with excellent service. Contact us or request a quote today and get the right start to your custom rubber molded part project. We will be happy to answer any and all questions you have.